First, where the relationship with the foster parent was long-term. Also, where the relationship with the foster parent began when the foster child was a young child. Additionally, where the foster parent attempted to adopt the foster child. Lastly, where the foster parent made specific provisions for the foster child in his or her will or trust. If the will or trust names the foster child as a beneficiary, none of the factors listed above are necessary. The foster parent is free to make provisions for a foster child as he or she sees fit. 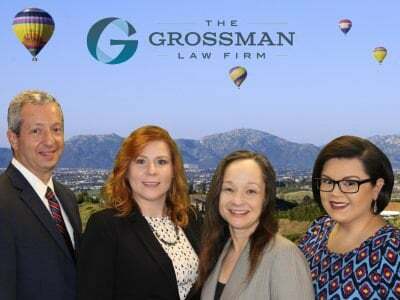 If another family member attempts to challenge these provisions purely by virtue of the fact that the child was a foster child and not a biological child, that alone will not be enough to succeed in a San Diego estate litigation battle. 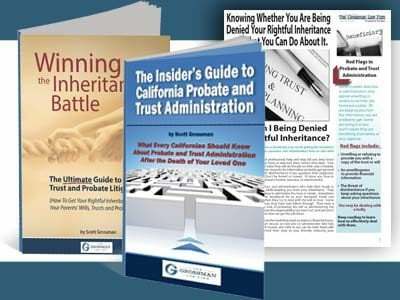 To learn more about the rights of beneficiaries to an estate, view our free guide, Winning the Inheritance Battle: The Ultimate Guide to California Trust and Probate Litigation. 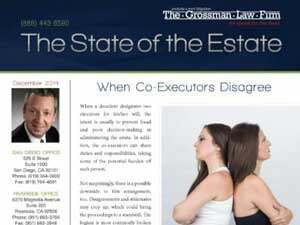 Did this article provide you with helpful information about your estate matter? Leave us a comment below and share your thoughts! A safe guard for the Beneficiaries or Heirs of an Estate from any wrongdoing by the Administrator or Executor that must be in place before the Court grants authority to act on behalf of the Estate. This is similar to an insurance policy, and once the Estate closes the Administrator or Executor may Petition the Court for reimbursement for the premium on the Bond.